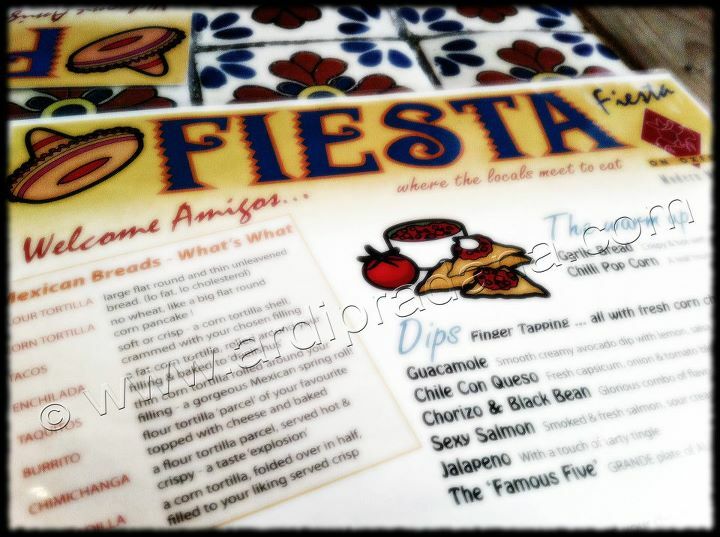 Update: Fiesta on Oxford is currently closed for an unspecified time. 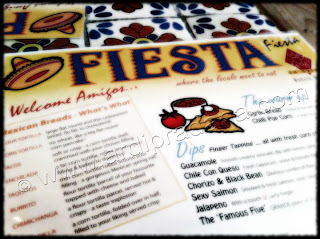 This was my second visit to Fiesta on Oxford restaurant, but it was the first time that I got to eat there. For my first visit – colleague’s farewell party, I had to leave early because of other commitments that day. 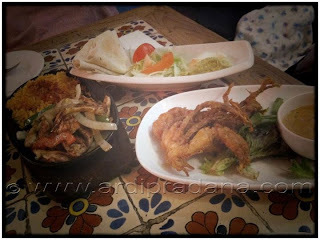 This time, I got the chance to taste the Mexican food my colleagues been talking about. It was a great place to have a gathering. They have private rooms for office parties and a whole lot of party stuff (Pinata included!). 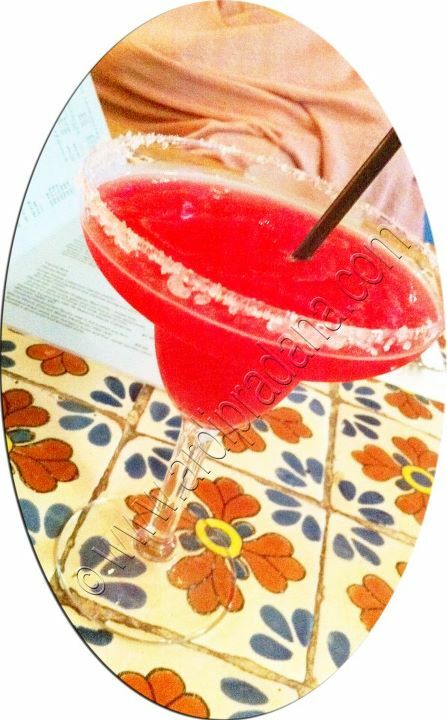 You might want to unwind with a bottle of Sangria or fruit Margarita. This time, we ordered Strawberry Margarita. It was a little bit too sour for my taste, but it was the right punch. We were supposed to have the tapas for our entrees. Since there was an unavailable one, our first course was served first. 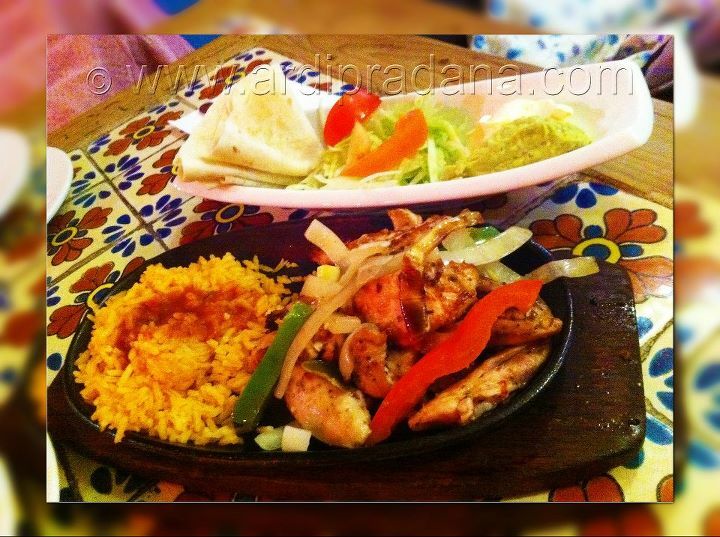 It was called Sizzling Hot Fajitas – Chicken. The good thing about Mexican foodis you can have your dish with any meat, in this case chicken. It’s basically a DIY meal. You get to choose how much vegetables, rice, sauces, and meat you want to put in. The rice and meat were served in a hot plate. 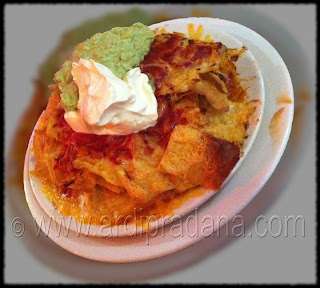 For the second one we got Nachos – Regular Beef. It was the perfect size for the three of us. It looked incredibly ‘guilty’ (i.e. tasty) like all nachos supposed to be, but this one also tasted great. The combination of chips, salsa, and cheese was awesome. 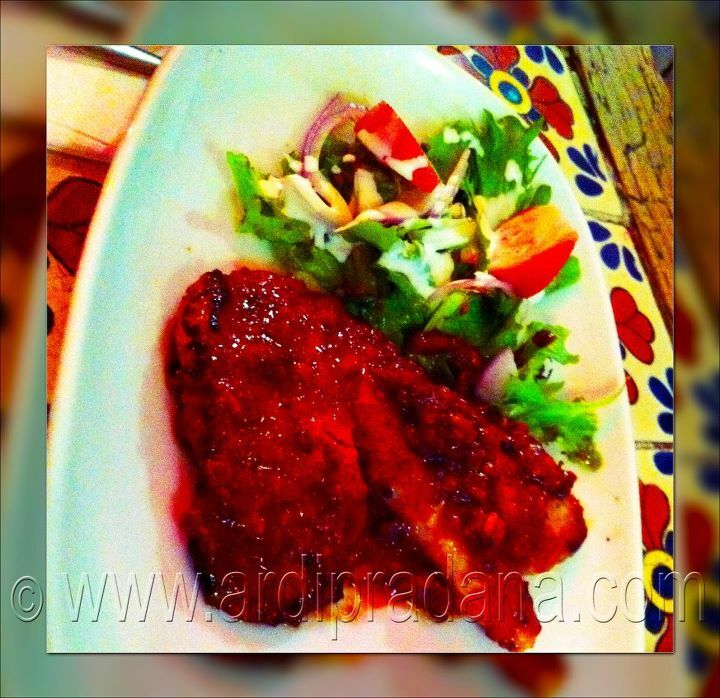 The beef was so tender and juicy (and tasty). Guacamole was fresh. I think the beef was really the element that made this dish so yummy. The tapas were the last ones to arrive. It was a combination of Fish Tapas and Soft-shelled Crab Tapas. The fish had sauce all over it. It was an okay dish. 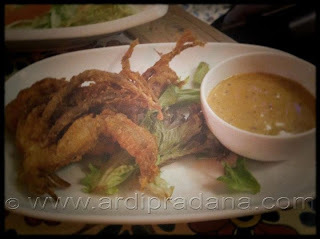 The soft-shelled crab was so crispy and it was accompanied by a spicy sauce. They were still pretty, but I guess it was just too simplistic to be the last dish we saw for the day. 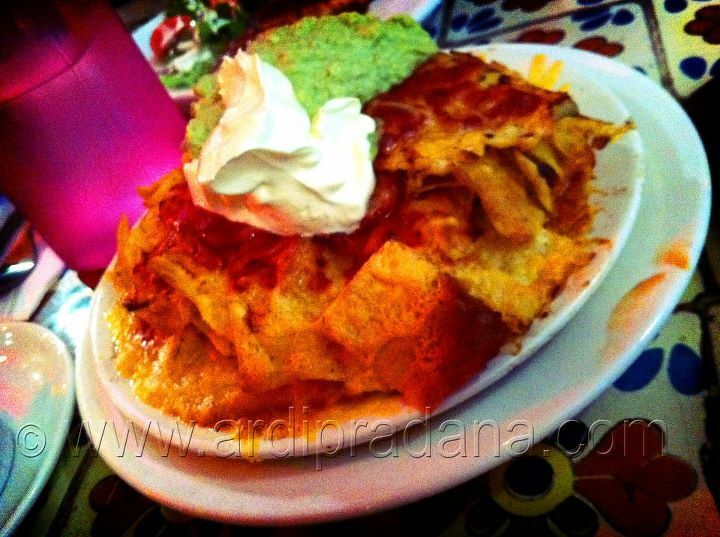 The final verdict: We were really impressed with the Nachos. It was tasty, nice size for three, and fantastic guacamole on the side.The strawberry margarita was a bit too sour for us, but when I tasted the other ones they were okay. This restaurant might be in the vicinity of Bondi Junction, but it was actually a bit further away from the main shopping malls.